By clicking continue you acknowledge these warnings. We provide good quality with the lowest possible prices on herbs. All herbs & botanicals used in Dr. Deb's Herbals™ formulas are obtained from reputable organic growers, wild crafted whenever possible, and hand compounded to ensure freshness & quality thereby maximizing healing potential. According to Encarta Dictionary it is “a system of medicine founded on the belief that diet, mental state, exercise, breathing, and other natural factors are central to the origin and treatment of disease”. On these pages you will find information about “Dr. Deb”, as she is affectionately known, her suggested herbal remedies, herb classes, and her passion for healing and teaching – one person at a time. Boost the flavor of your favorite baking dishes with herbs and add those extra health benefits to keep your families’ immune system strong. On my website: www.drdebsherbals.com I have 66 cooking and baking herbs for each one that you select a detailed description on the health benefit will come up, but here are a few of my favorites. Cayenne: This herb is wonderful for winter colds, congestion, infection, and inflammation. It adds warmth and breaks up congestion, clears sinuses and serves to activate other herbs. Turmeric: It is a potent natural anti-inflammatory that works as well as many anti-inflammatory drugs but without the side effects. May aid in fat metabolism and help in weight management. Garlic: (powder, granules or fresh) Garlic can help you lower your bad cholesterol (LDL). Cholesterol is a fatty compound that travels in your blood and may put you at risk for heart disease. Garlic strengthens the immune system as well as helps to fight chest congestion and coughs. Garlic is an anti-fungal and anti-bacterial. The Allicin which is a sulphuric compound is considered a natural antibiotic. Garlic is a good source of vitamin B6 which is needed for healthy immune and growth of new cells. Vitamin B6 can also assist with mood swings and improve your cheery disposition. Thyme: is a natural medicine that is used for treating chest and respiratory problems. It serves as an effective cure for bronchitis, coughs and chest congestion as well. The herb helps reduce symptoms of irritable bowel and colic. It helps in preventing chronic gastritis as well. It effectively fights against bacterial, fungal and viral infections. Dill: stimulates the secretion of bile and digestive juices. This also stimulates the peristaltic motion in the intestines and helps relieve constipation. Dill has long been associated with the management of insulin levels. As a well-known carminative, dill can help prevent the embarrassing condition of excessive gas. An anti-inflammatory herb, meaning that it helps to reduce the inflammation and the associated pain of diseases such as rheumatoid arthritis, gout, and arthritis. Rosemary: been believed to have memory-enhancing properties. The aroma of rosemary is said to improve your mood. A popular natural migraine remedy for centuries. Rosemary boosts the immune system thanks to its antioxidant, anti-inflammatory, and anti-carcinogenic properties. Rosemary is often used to help treat digestive problems such as upset stomach, constipation, indigestion, and almost any other digestive related problem. Oregano: Prevents heartburn, reduces gas and indigestion, helps to clear parasites from the body. Can soothe a cough and calm down asthma symptoms. Helps to treat and prevent seasonal allergies. Anti-inflammatory properties and can be used effectively for headaches, flu, sprains, strains and swollen glands. Beneficial for chronic fatigue syndrome. A natural treatment for yeast overgrowth. Oregano is rich in fiber and will improve the flexibility of joints. Teas: this holiday season instead of bringing a bottle of wine as a hostess gift, what about a selection of healthy teas? There are also 61 teas to choose from on my website. My name is Deborahe Prock, Naturopathic Practitioner, AKA Dr. Deb; Please note that Dr. Deb is a nickname that I was given in the 70’s for the healing that I did. I am not licensed by the State of California but work as a Practitioner. I do have a Diploma as Doctor of Naturopathy from Clayton College, this is not a recognized College by the State it does however train me as an educator to consult with your health. I am passionate about healing! Since 1993, I have embraced my path as Healer and Teacher. Always maintaining a humble attitude of student as well as healer, my senses are always open to healing possibilities. I am my own best testimony: after surviving cancer myself, the various tradition treatments, and some permanent effects of those treatments, I brought myself back to health and vitality using some modern medicine in conjunction with the wisdom I gained becoming a Master Herbalist. Through my experiences, I have gained insight into how to enable individuals to create their own wellness, using integrative approaches (using both traditional medicine and complimented with supplements and herbs). I feel honored to be able to help and encourage others toward their goal of well-being. As my practice has grown and thrived, my traveling days are fewer and you can usually find me at my office. Seeing clients every day has allowed me to gain even more knowledge based on direct feedback from my clients. I have learned that what works for one client may not work for another client. Each individual has their own herbal needs and I am pleased to be able to offer personalized herbal blends if needed. It is very important to learn that we do not live in a world where we can be all holistic all the time, so also educating when we need to be seeing the traditional MD or even a licensed Naturopathic Doctor (ND) so that they may order testing or scans. Dr. Deb has changed the lives of many people and animals from Louisiana’s New Orleans disaster to Northern California’s El Dorado hills where her skills are well-known in Placerville and on to Lake Tahoe and anywhere else she is needed. 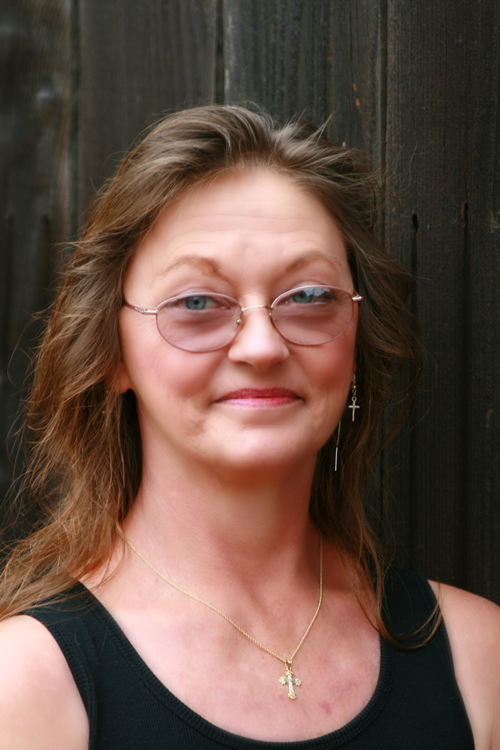 Dr. Deb’s talented and insightful diagnoses are legendary; her treatments heal mind and body. Here are a few testimonials written by humans, but if animals could write there would be just as many testimonials of how she save them. It was in the fall that I met Dr. Deb. I had just spent July and August feeling hopeless about my life. In June I had contracted Diverticulitis and had been hospitalized. With my colon fused to my uterus I was under siege and facing an operation to take both out. Worse still, I had been told that there was absolutely nothing I could do to prevent another attack; that I would not be able to be healed until the operation. Enter Dr. Deb and her footbath. I will never forget meeting her; she looked at me and said for me not to worry that she could fix the fused uterus and colon and that I would be well soon. It was a simple regimen – Marshmallow Root and a uterus cleanse, but within days I was no longer leaking poison from the colon. Right there and then I became a believer in homeopathic medicine. My health had never been perfect – born with pneumonia, cord wrapped around my next six times – lucky, lucky to be alive at all. As I reached age six my parents were advised that it was crucial to get me to a dryer climate (Indiana was where we lived then). Although I did not contract tuberculosis as the doctors had feared, I did have pneumonia every year of my life until age 25 when I had my tonsils removed. After that it was bronchitis every year until the year I met Dr. Deb. We worked on getting my lungs and liver in good shape with tinctures and teas and homeopathic remedies and the result was greatly reduced instances of respiratory ailments. Where once I had bronchitis two or three times a year after Dr. Deb took over I sometimes went more than a year without being sick at all. Last year I had the opportunity to work with Dr. Deb to cure leukemia that I had somehow contracted. It was the kids and young adult kind; the kind that could not have been cured today except for the advent of stem cell research. I was diagnosed with a chromosome jump which left my white blood cells impaired. I had a bold test that left the hospital doctors scrambling to get me in for a blood transfusion to add platelets. They wanted me to stay for a month. But, I was all set to leave the hospital and undertake a homeopathic regimen from Dr. Deb. Matter of fact, I left the hospital knowing that I could rely on Dr. Deb to help me through the nightmare. Instead, she helped me to see the value of integrative medicine – using my health care insurance along with tinctures, lights, and herbs as a way to control the cancer. I am well now – in complete remission – and still under Dr. Deb’s care because I trust her and I know that I am in good hands. Yes, she is insightful. She studies constantly to add to her knowledge store. Yes, she is empathic. But at the same time she is honest; she tells her clients the truth about their health. Yes, she is knowledgeable, amazingly so. She truly believes that the world will be a better place when we learn to combine the worlds of pharmaceutical medicine with the time-honored tradition of herbal medicine. She is the best of both of these worlds and embraces both whole-heartedly. She believes she can make a difference helping one person at a time and ask anyone – she does make a difference. I recommend her to anyone who needs medical or psychological assistance – there is no greater gift on this earth than the gift of Dr. Deb. Dr. Deb has been my mentor for many years. She is also my doctor, nurse, best friend, volunteer, protector of animals, cancer survivor, leader, teacher, intuitive and much more. Dr. Deb works endless hours in the research to heal. She has a special gift from God; an insight into a person’s health, the ability to know just what a person needs in mind, body and spirit to heal. With this she is able to pinpoint exactly how to help each person or animal to be well. Most days Dr. Deb is up at 4:30am to begin her day which ends many times late in the night. When she comes home from a long day at work she takes the time to answer every email and phone call that awaits her. She doesn’t rest until each one is answered. Besides seeing the sick, she takes time for the homeless teaching them the herbs of the earth for healing, giving hugs and listening to their stories. Dr. Deb is an inspiration! “I have been a fan of Dr. Deb for 4 years and refer new people to her all the time, who find her amazingly awesome. There are no pretenses, just genuine caring, in supporting people to live healthier life styles and learning how to be responsible for their own health. It is evident that her first priority in not about money or herself but using her gifts to help others. “I was diagnosed with Extreme Bi-Polar Disorder some time ago, taking 15-20 pills a day at the highest dosages they could legally prescribe. Nothing helped, in fact they made things worse. I have since gone holistic with much help from Dr. Deb. I’ve known her for about eight years and can truly say that she’s saved my life in more ways than one and more times than I can list. In a world full of pills and surgical procedures she offers relief from seemingly hopeless situations. Doctors who have never met her refer their patients to her when they’ve run out of options. The standard story goes something like this, “We’re not sure what else to do, but here’s a card of a lady I’ve heard of, maybe she can offer you some alternative solutions. Dr. Deb is genious! To check the status of an order, email drdeb2002@gmail.com. We welcome questions about the use of herbs or the information of our herbal products. Refunds will be provided on products returned within 30 days of purchase for the cost of the item only. Shipping will not be reimbursed. Cancellations may only be accepted if received prior to shipping. Return merchandise to: Dr. Deb’s Herbals, P.O. Box 505, Somerset, CA 95684 To cancel an order please email: drdeb2002@gmail.com. The information collected from your order will only be used to fill the order, or to contact you if they have questions, payment information will not be stored.